Our goal is to take small sprite and add it into existing font as new character. Then we will be able to print this sprite as text along with other characters. Picture was take from our game Pirates! – the match-3 made in Phaser 2. It is level task list and normally it would take four sprites and two bitmap texts to print both lines. With solution, presented shortly, it takes only two bitmap texts as we will turn sprites into characters. 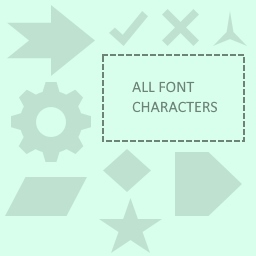 font creation tool (like Littera) exported .PNG with characters and .XML with metadata. Exported .PNG was added as single big frame into atlas. X and Y positions of characters defined in metadata are relative to top-left corner of this frame. font creation tool exported .PNG and .XML with metadata. But your tool for creating atlases can take these, mix it into atlas character by character and output not only final atlas, but also updated font metadata. X and Y positions of characters in updated metadata are absolute. Second case is better in my opinion, because characters are usually small sprites and can fill small empty areas in atlas, while in first case atlas tool has to place big block somewhere. Complete list of parameters is here. Shortly, we are passing current scene as first parameter, followed with name for our new bitmapfont. Then we pass name of atlas, name of frame and XML metadata. As I am using individual characters mixed into atlas, I have to pass “__BASE” as frame. This is frame every texture has and it is as big as whole texture. If you are using atlas with single big frame for all characters, you will have to pass name of that frame. Phaser will calculate absolute position of each character in atlas internally for you. * Add sprite into bitmap font, position it and assign it character code. * Then you can print it along with other font characters. First four parameters are mandatory. 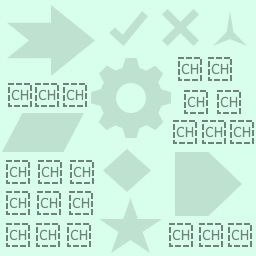 Method must get reference to Phaser.Game, so it can ask Phaser for cache and texture data. We have to pass name of the font we want our sprite add into, and also frame of sprite we are adding. We do not have to pass atlas name, because method can extract it from font data in cache. 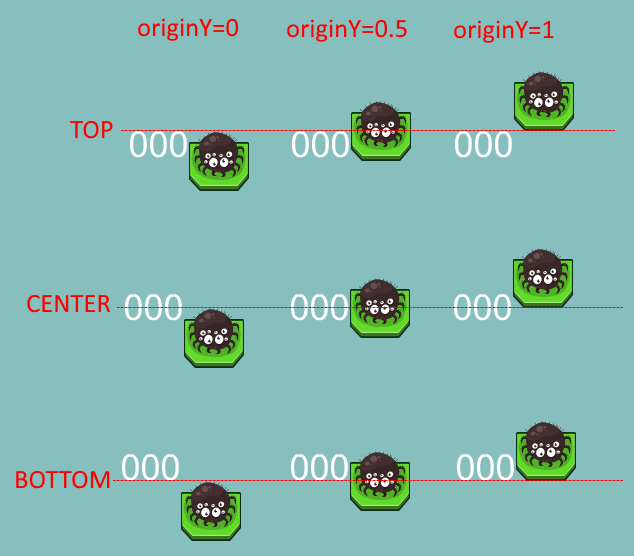 Last mandatory parameter is character code we want to assign to sprite character. It is good to choose some character that is not defined in font, otherwise you are in danger of overwriting existing character. originY (=0.5) – this works as standard Phaser origin – it says where is frame anchored. By default, value 0.5 says, it is anchored in center. With created class printing things like icon with text is easy. If you are using Phaser 2, I wrote similar article on my old blog.